Blake Horstmann may be sticking around for a while on The Bachelorette's currently-airing season. Blake is a 28-year-old sales representative from Colorado, who introduced himself to the show's star Becca Kufrin when The Bachelorette's fourteenth season debuted May 28 on ABC. Blake impressed Becca by bringing a horse onto After the Final Rose and then riding in on an ox Night 1 of taping The Bachelorette, but he really impressed Becca on her first one-on-one date of the season. Blake and Becca hit it off on many levels. 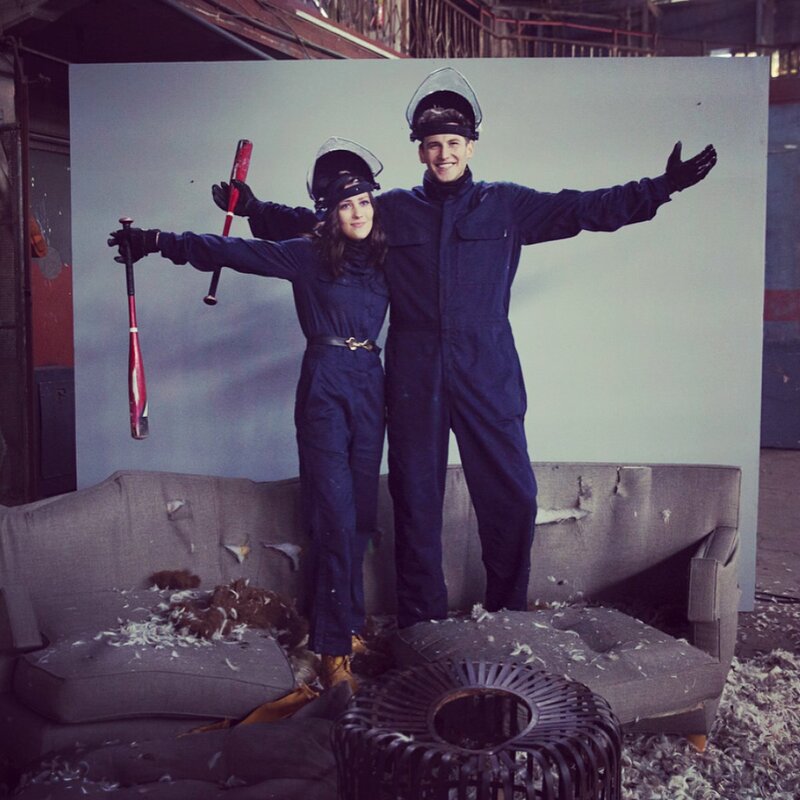 Not only did they have a blast together on their first date in which they destroyed items that reminded Becca of her past with Arie Luyendyk Jr., but they also engaged in deep conversation. Until viewers can watch more of Blake and Becca's love story unfold on The Bachelorette, let's learn more about this endearing suitor. - Blake considers himself a modern romantic who believes that two people need to be independent in order to truly love each other, so he's looking for his equal match. - Born and raised in small-town Bailey, CO, Blake was both a high-school and collegiate athlete. He excelled at football and basketball. - The bachelor has a secret talent: he's a great swing dancer! Blake was hoping to sweep Becca off her feet. - Blake earned a degree in Marketing and Communications from Hastings College in Nebraska in 2011. - Chris Harrison calls Blake "interesting," revealing he builds "a really good connection" with Becca on The Bachelorette this season. - Blake currently works as an off premise sales representative at Coors distributing company. He's held down this job since late 2014. - Blake enjoys country music, concerts and festivals, running, hiking, dogs, golf, and the Denver Broncos. To find out how far Blake makes it on The Bachelorette this season, click here to read spoilers.